It’s a beautiful Saturday morning. The sun is out. And we are on our way to our next adventure. However, we are not in a plane or in a car. We are on the NYC Ferry headed to Camp Rockaway. 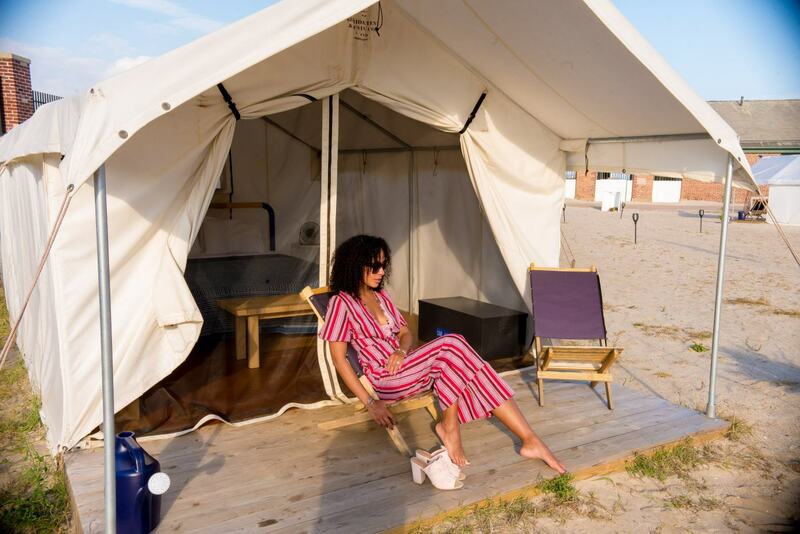 Camp Rockaway, located in Jacob Riis Park in the Rockaways is a glamping pop up right here in New York City. If your are looking to go camping on the beach but are not interested in “roughing” it then this is a great place to be one with nature and wake up to the sunrise over the waves. If you don’t have a car you have nothing to worry about. 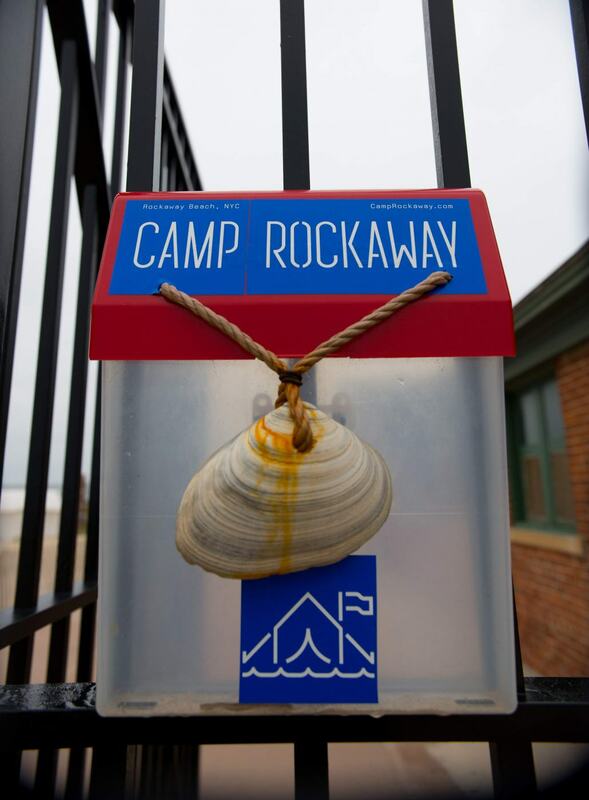 There are a lot of ways to get to Camp Rockaway which makes it accessible for all looking for a quick getaway from the hustle and bustle of New York City. I love the NYC Ferry. I take it almost everyday. So that fact that you can take the NYC Ferry to Camp Rockaway is amazing. You can get the Ferry at Wall Street going to Rockaway. Once you arrive in Rockaway jump on the shuttle bus which will drop you off right in front of Camp Rockaway. It is that easy. Travel time is a little over an hour however I promise you will start your weekend getaway as soon as you step foot on the ferry. The ferry itself is such a beautiful ride. Grab a seat up top and enjoy the views of the New York City, The Verrazzano and even Coney Island. If Ferry are not your style then you can take then you can take the subway. You have a few options. Take the A or the S to Rockaway Park Stations- Beach 116th St. Transfer to the Q22 or Q35 bus to Jacob Riis Park. Take the 2 train to Flatbush Avenue. Transfer to the Q35 bus to Jacob Riis Park. Have a car. Driving to Camp Rockaway is pretty easy. Keep in mind you may hit traffic in the summer so plan accordingly. I would recommend using Google Maps to find the quickest way to get to Camp Rockaway. We always choose to use Google Maps which helps us to avoid traffic. Parking is located across the street in Jacob Riis Park. After driving past the parking gate make a right and look for the sign that says “To The Beach”. There is a tunnel that will take you across the highway right to Jacob Riis Park and Camp Rockaway. 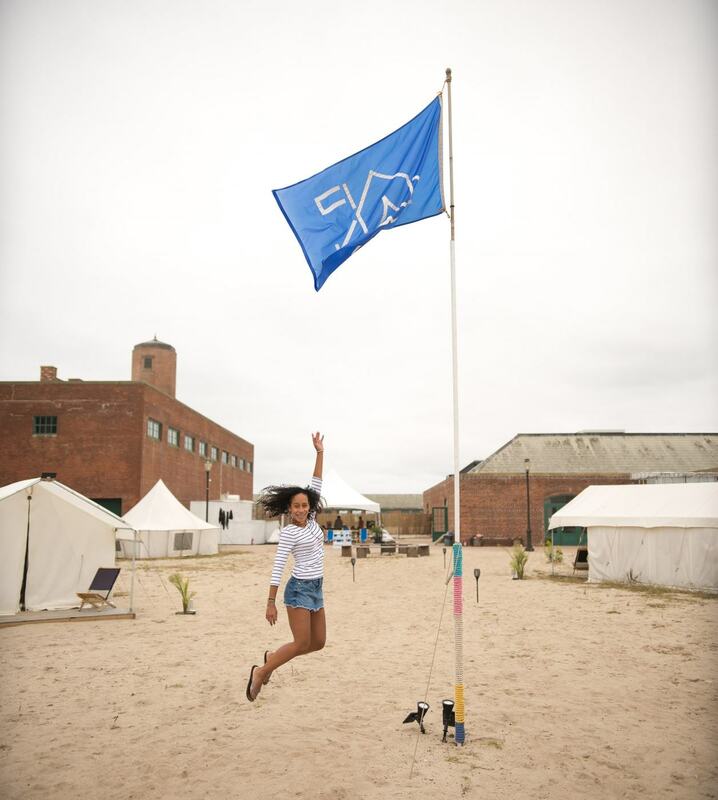 Check in time is 3pm however I would recommend arriving early so you can enjoy the day exploring the Jacob Riis Park and Fort Tilden. If you arrive early the staff at Camp Rockaway will kindly store you bags. Check in was easy breezy. We signed some forms. Got a tour of the facilities and were escorted to our Tent for the weekend by Kent. Located just steps to the ocean, the campsite is made up of 12 tents. 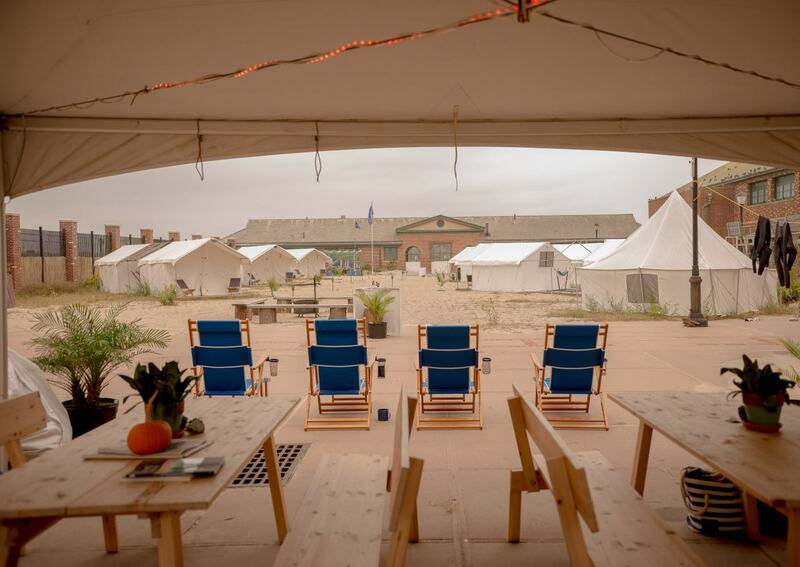 The canvas wall tents at Camp Rockaway are perfect for 2 people. Measuring 10′ x 12′ (which might be bigger than most apartments in NYC), you will find all the comforts of home. In the tent you have a queen size bed which was so comfortable. If it wasn’t for the bright sun I could sleep all day. A storage locker to store your valuables. A solar powered light and two solar powered fans. While the tents do not have electricity they also offer a solar powered charger for phones and small portable devices. It is these small details that I can appreciate. 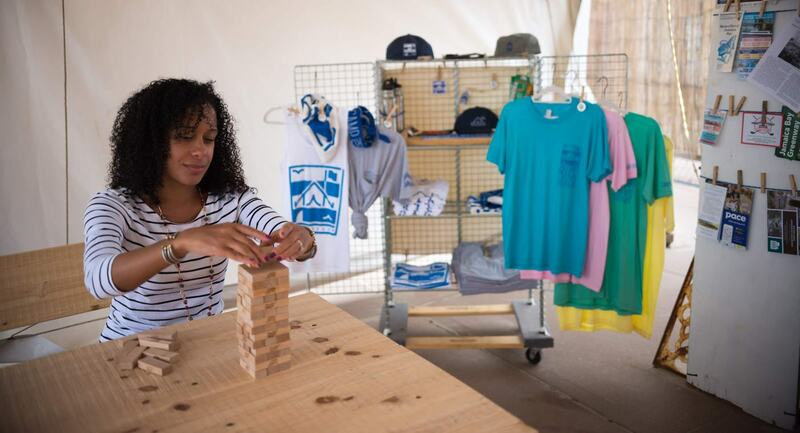 The campground is located steps from the beach, so after settling in make sure to check it out. We opted to hang out on the beach for a couple of hours just to decompress followed by a little bit of quiet time in the hammock located right outside our tent. The common area is a great place to spend the evening. Make new friends by the communal fire which the staff keeps going all night long. Also something I can appreciate because I have spent hours trying to get a camp fire going. It is not easy sometimes. Although it is well worth it. But I digress. It is encouraged to bring food to grill on the fire. We brought burgers and hot dogs. Just make sure you bring something that is prepared in advance and doesn’t involve cleanup. There are no facilities for washing dishes. Let’s keep it simple people. Now keep in mind. Jacob Riis Park and Fort Tilden are located on National Park grounds therefor alcoholic beverages are not permitted. However between the staff, the ambiance and just feeling a million miles away from the city I did not miss my glass of wine. Please don’t be that person that tries to sneak in alcohol. It is totally not worth it. You can have a great time without it. I promise you. And if you must there are bars and restaurants that are open to sundown just steps from the campgrounds. In the off season you can take a quick Uber to a number of bars and restaurants in the area. 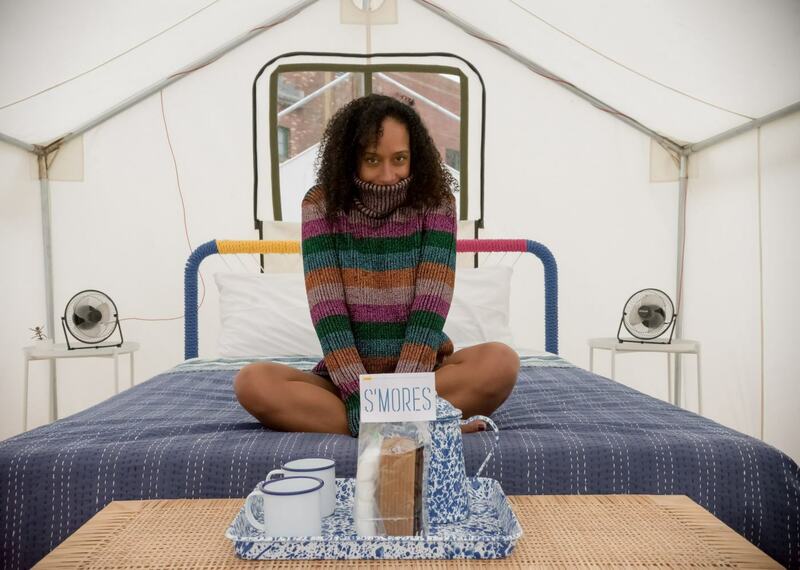 If s’mores are your thing then make sure to get yourself a s’more kit. It’s not camping if you haven’t had s’mores. There are also games and a phone charging station available in the common area. Anyone want to challenge me to a game of Jenga. I am currently undefeated. 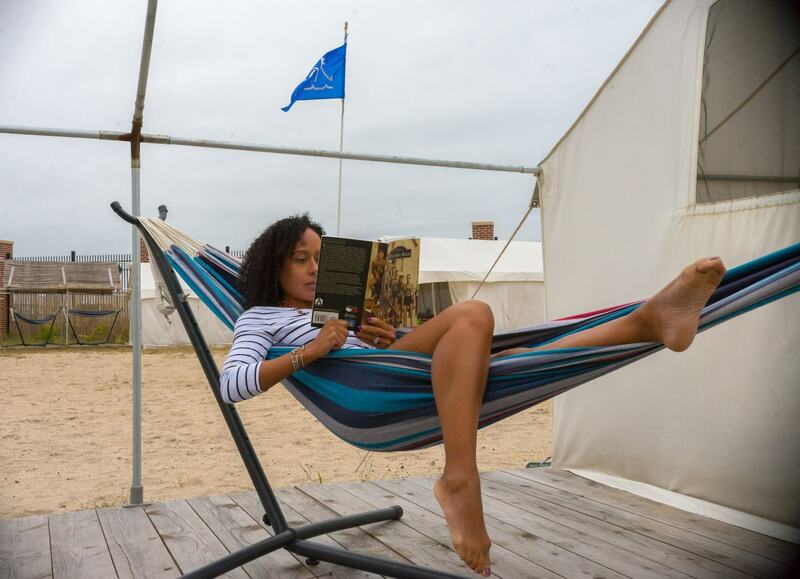 If you want to be lazy like me and spend your entire time at Camp Rockaway actually physically within the confines of Camp Rockaway that is cool. But I know most people want to explore and Jacob Riis Park and Fort Tilden do not disappoint. If you are looking for a secluded getaway Fort Tilden is an amazing find. Located approximately half a mile from Jacob Riis Park it is an easy walk or bike ride away. However due to it is inaccessibility (the closest parking and public transportation is at Jacob Riis Park) you will not find crowds here. Formerly a US Army Installation, Fort Tilden is now a nature lover’s paradise made up of beach, dunes and maritime forest. It is well worth the detour to check out this gem. All season long you can enjoy food, drink and entertainment as part of the Riis Park Beach Bazaar which is located steps from Camp Rockaway. If you happen to visit in the off season check out The Meatup Grill which is open year round in Bay 9. 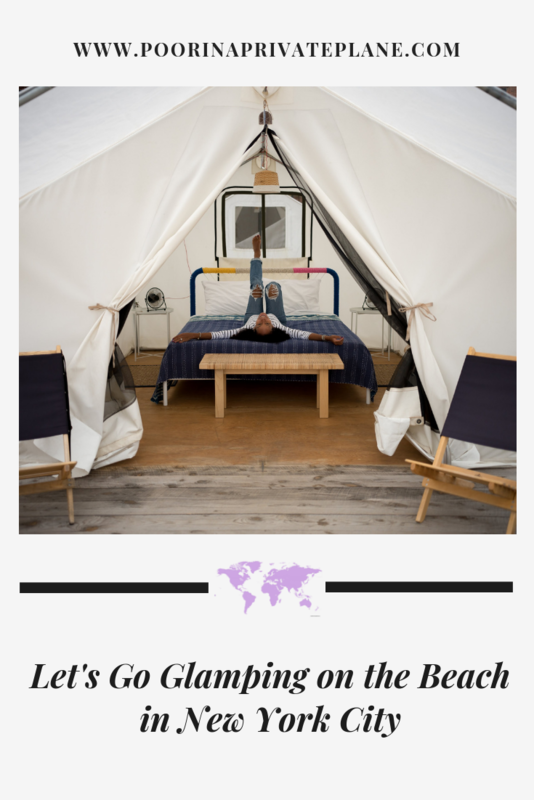 I was invited to visit Camp Rockaway however it has been on my wish list for some time and it did not disappoint. 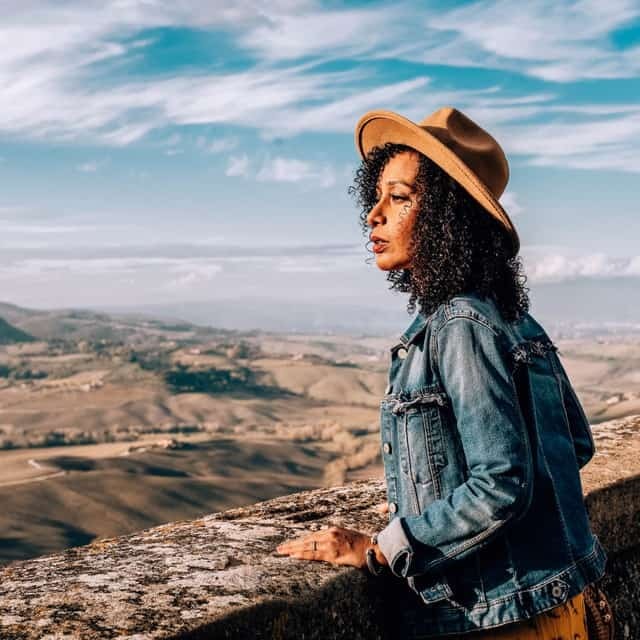 It was the perfect opportunity to get out of the city without spending too much money on gas or airline tickets. We packed our bags. Jumped on the ferry and we arrived in paradise. After a hectic week it was the perfect getaway. I could spend every weekend here. I wonder if they will let me just live there. Don’t forget to pin this post for later. See you at Camp Rockaway.